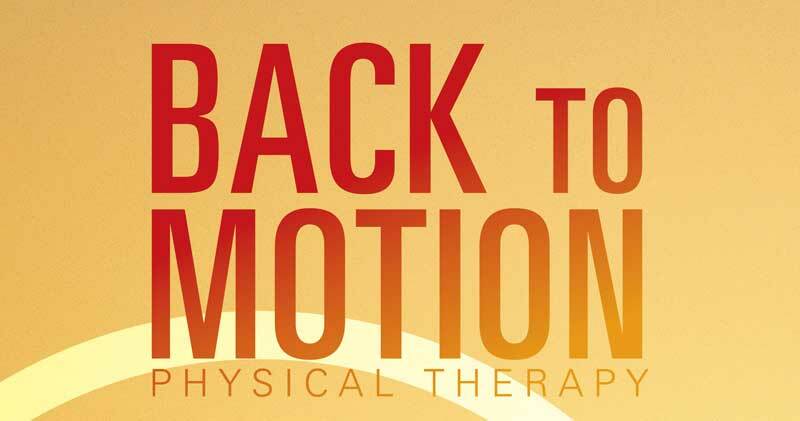 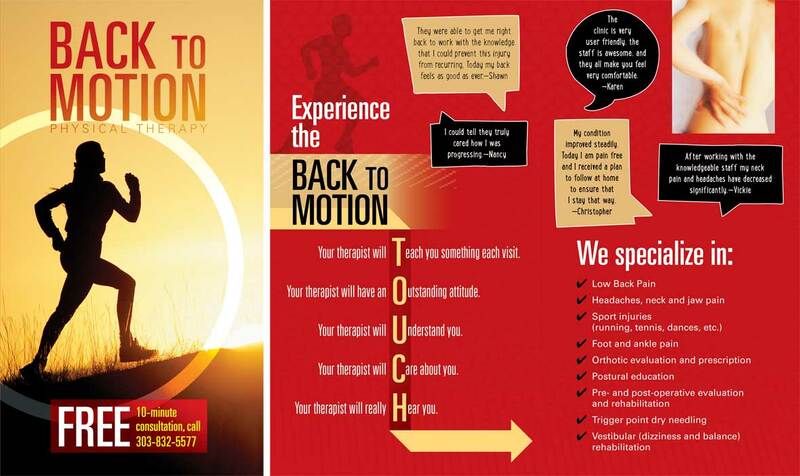 Tri-fold brochure advertising the services and benefits of Back to Motion Physical Therapy. 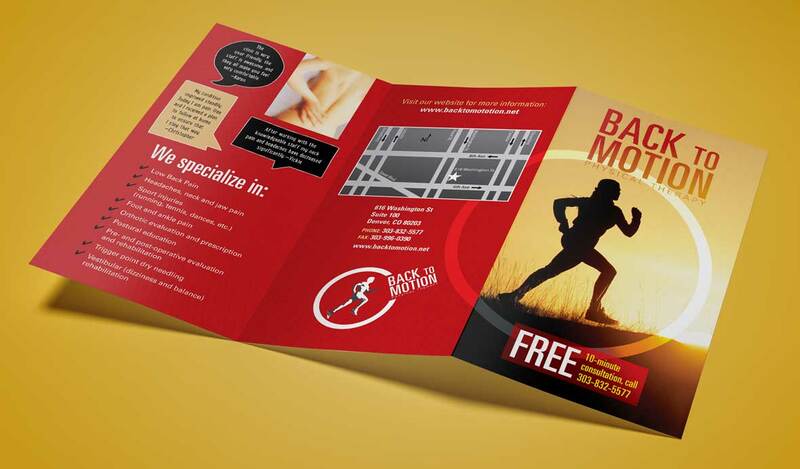 Stock photography was used to quickly set the scene including one cover image which references the company logo. 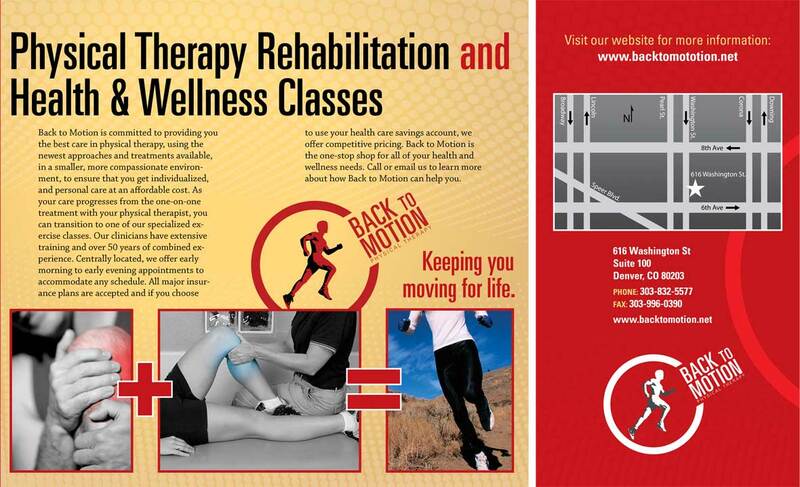 Testimonials were added in a friendly font to connect with the readers.